Certain tubular components, flanges, valves, high-pressure valves, sealing valves, valve seats, conical and other seats require preventive maintenance, but sometimes corrective maintenance as well. Some of these components are light in weight, easy to dismantle and, therefore, portable. 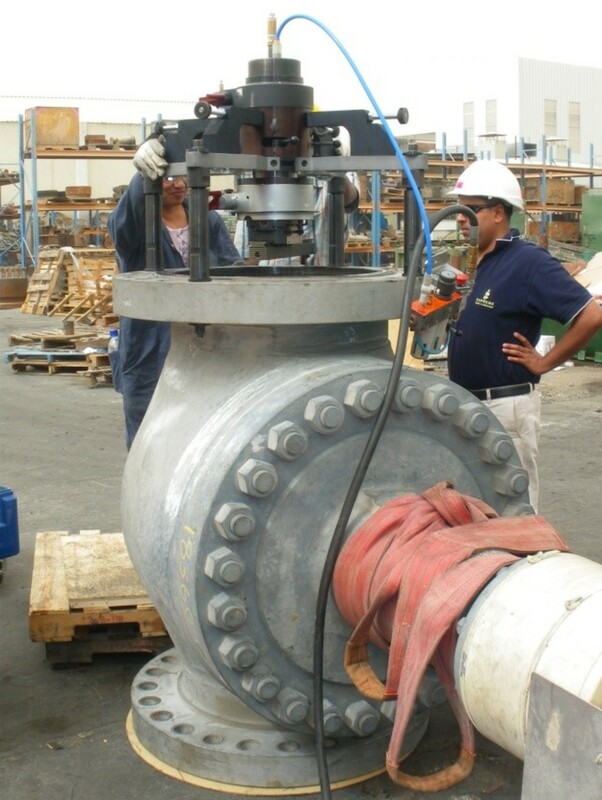 Certain repair or maintenance operations can be programmed for inclusion in a schedule without any difficulty. Certain repair or maintenance jobs may require parts of components to be transported to a fixed workshop machine, which will then need to be outfitted for the job. This means that, in most cases, the part or parts in question will need to be dismantled and packed for transport and then special transport may be required for moving them to the workshop where they will have to wait until a lathe, a milling machine or other suitable fixed workshop equipment is available, and also where several other people including warehouse workers will also be needed. The return trip will need to be organized and difficult, often complex operations will be needed to avoid damaging parts during handling, transport, site re-assembly and all the related operations which will most certainly prove to be necessary (especially when components that need to be re-machined, serviced or repaired have been subject to difficult environments such as ionizing radiation). SERCO machines are portable machines specially designed for top-quality on-site machining. SERCO operators are experienced technicians capable of assisting on your projects, what and wherever they may be. They possess all the necessary authorizations. 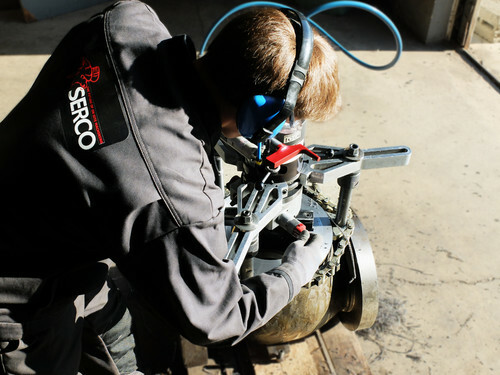 They benefit from all SERCO’s experience, and over 30 years of expertise. They know how to advise our customers to solve their machining problems and provide them with the right solutions. They utilize machines with a world-wide reputation for quality, durability, dependability and their capabilities. They are professionals who put all their skills and know-how at the service of industry. Consult our catalogue of portable machining units that perform surfacing (facing), boring, grinding, beveling and orbital cutting operations.